It's time to start thinking about Christmas food, not only what to purchase but where to get the best deals on quality and price. The Good Housekeeping Institute have just published their annual survey of Christmas food, so that's a good guide to the best that is around this festive season. 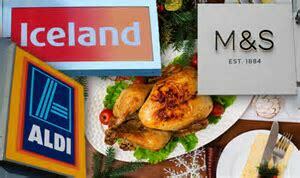 In a series of blind tests, food from Iceland, Aldi and Lidl all scored well on quality and taste despite their low prices, so why venture to expensive Waitrose or M&S, when you can get the best for less elsewhere. A budget Christmas meal could be on the menu for millions of us if these tests are any indicator. Iceland's 9lbs Easy Carve Turkey with Streaky Bacon, priced at £26, won its category test, with tasters loving its gamey, rich flavour and honey sweetness. 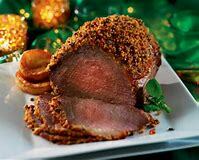 It beat more expensive options, such as the well known 13lbs Eversfield Organic Bronze Turkey at £96. Iceland also won the Stilton category with its Luxury British Blue Stilton at £2 for 200g. It was ahead of several more expensive rivals, like Booths Potted Blue Stilton at £10 for 300g. However, Aldi had the most top-five placings across 17 categories of festive food and drink, winning the best beef roasting joint with its Speciality Selected Bone in Rib of Beef Joint with Salt and Pepper. Lidl meanwhile, had the best sausage meat stuffing with its Deluxe Apricot & White Stilton Stuffing at £2.40 for 300g. The best sparkling wine went to a product sold by Amazon for the first time - a Laborie Methode Cap Classique Blanc de Blancs Brut 2010, only £14.95 a bottle. If you want to make your Christmas a little bit less stressful this year and save time and money, then the Good Housekeeping Institute's testing results from of 400 festive products will help!